My latest artwork is called 'Trust Yourself' and I wanted to share some insights into the meaning behind it. Maybe you're like me and, at times, wonder if you're moving in the right direction - putting your energy in the right place? It can be so easy to compare yourself to others and judge your progress against the world of social media. It's at times like these that I find it best to take a deeper look inside of yourself. This is where the inspiration for my latest artwork came from. I wanted to create a piece that could be used as a reminder that you can trust yourself. 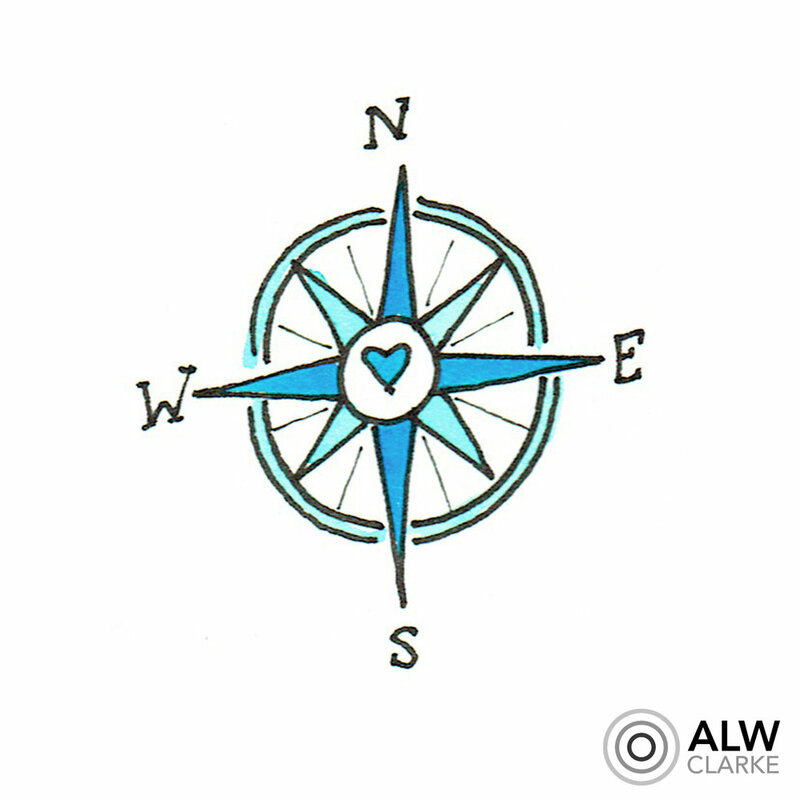 I knew I wanted to create a compass that would represent the concept of direction. When we're feeling lost - we're looking for guidance. Then to combat the belief that you need to be guided by others I decided to incorporate a mirror in the centre. The mirror is a reminder that we can look into ourselves and ask for guidance. Overall the artwork is about self belief and trusting one's own intuition. Next time you're feeling lost - take a moment to realign with yourself and trust that you know what is best for you. How do you move forward when you're feeling lost? I'd love to hear from you.